Do you feel like you're stuck? Do you feel alone? Do you live in fear that your struggles might push others away? Do you wonder if your faith is a fraud because of the emptiness in your soul? Are you weary of trying to play by the rules and pretend that everything is okay? 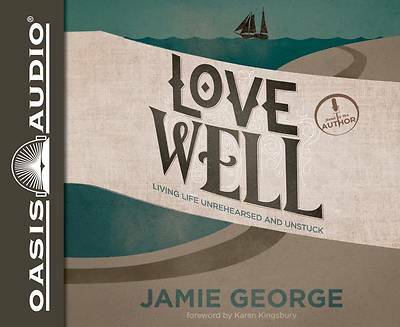 In Love Well, Jamie George confronts the popular heresy that God's children are meant to live a life absent of pain, sorrow, or conflict. On the contrary, Jamie passionately describes brokenness as a divine gift and a necessary God-ordained path to experiencing true joy and genuine redemption. With surprising transparency, Jamie shares his personal journey of getting unstuck and provides reassuring comfort for those looking to move beyond their pain toward a life of connection and grace.